Summer and BV are burning up the arena’s and are looking to win it all at the BOTB! Here is a little more about Summer and Barvatos who will be running at the BOTB in August. Where did you and Barvatos qualify? We qualified at the Crazy Women Ranch in Lancaster, Ohio. Tell us a little about your horse: My horse Barvatos is a 7 year old gelding. We bought him off of Tracy Wren when he was 4 years old. Everyone has a favorite place to run, tell us what yours is: My favorite arena is Springfield, Ohio because it is so bright and Bv loves it! Springfield always has a great atmosphere and especially when Dawn and Clea are hosting! Each year we all love to attend a favorite show, what is yours? My favorite show to attend would have to be the best of the best because it is something you actually have to qualify for and you never know what you’re gonna get and what Dawn and Clea have in store! 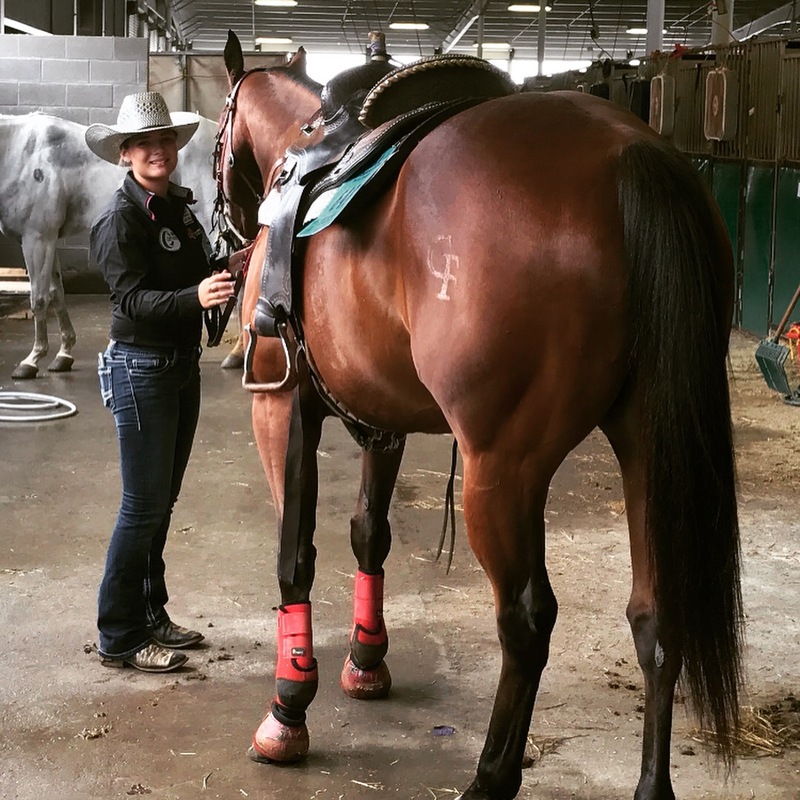 Give us a little more insight about you and your horse: My family inspires me because they’re always doing everything they can to make my dreams come true and pushing me to own my own business so I will always enjoy what I do and be my own boss. Next The Michigan Riff Raff talk Ashley & Frankie into making the trip to Ohio!